German Cavalry Manual 1937 : "The thigh rests against the saddle; their inner broad surfaces are turn far enough inward to position the knee flat against the saddle....If the thigh is rotated in a way that makes the knee cap point outwards, it results in a hollow or open knee, which does not allow a secure seat"
Scroll down for the rest of the article and the video. Thighs away from the saddle, is a concept which I find completely alien to my way of looking at riding. To me it makes no sense in physics, makes no sense to the horse and essentially renders you dependent on the reins for any kind of balance. 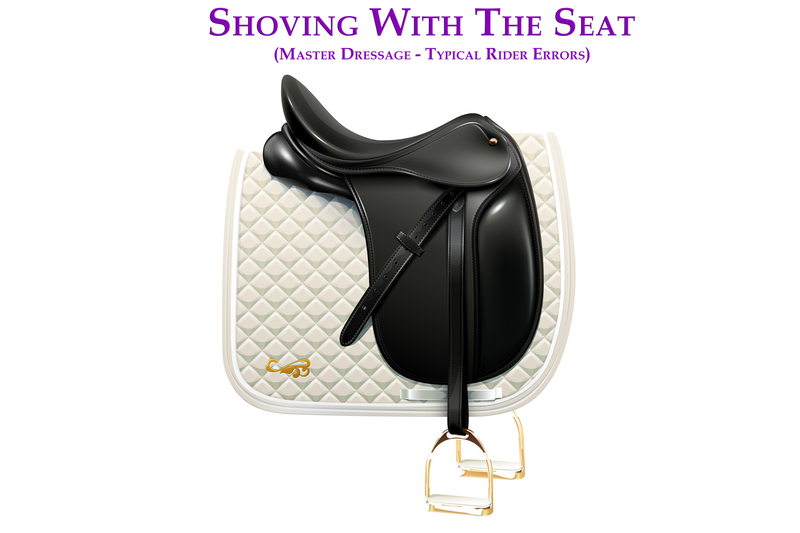 It also puts all the weight in your seatbones or in the stirrups! Perhaps it was an overreaction to 'gripping with the knee' which used to be taught a long while back? 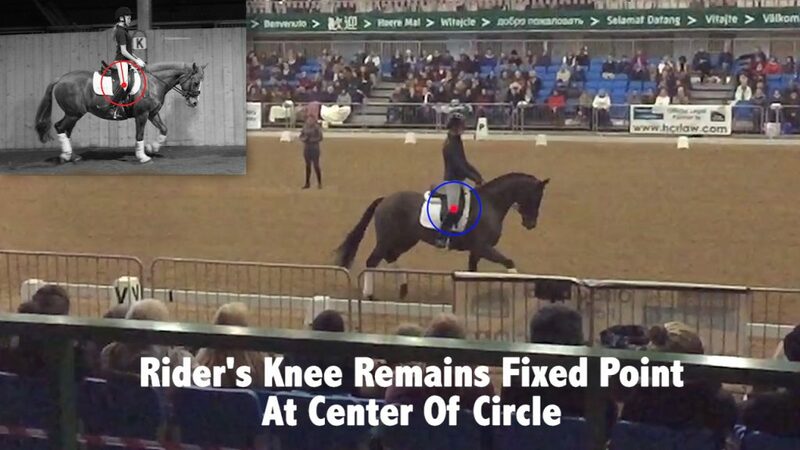 The rider should be correctly aligned, should have a neutral spine. 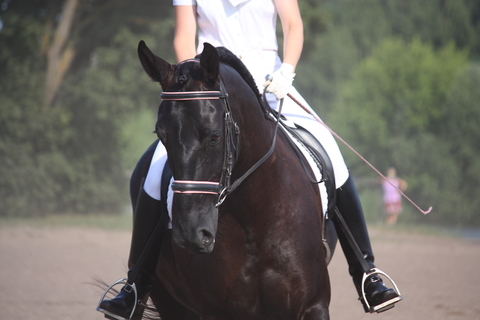 The rider should be responsible for their own weight in the saddle. 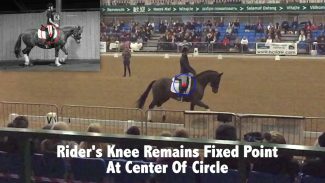 The rider should provide enough tone to match the forces generated by the horse. 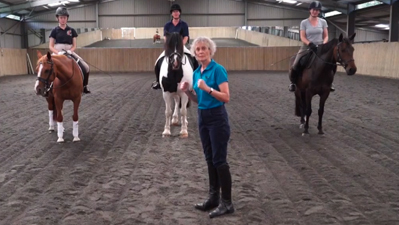 Check out 'The How of Riding Course' at https://dressagetraining.tv/the-how-of-riding-course .This course covers all the above information and more! OR Your weight ends up into your stirrups which swings your leg forwards, pushes your seat backwards and upwards, which can then pitch you forwards. 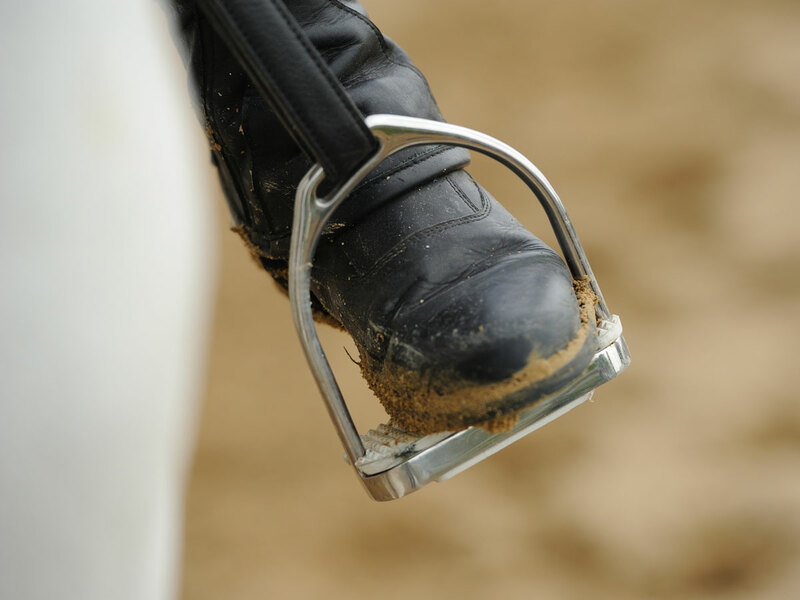 Weight in stirrups is the opposite of sitting deep – Newton’s third law of motion. 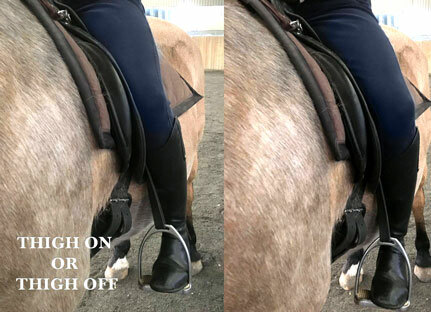 Your attempts to ask your horse to be supple and relaxed over the back don’t work because all your weight is down the hollow of the horse back on your seatbones. When the horse accelerates forwards, as he jumps from one leg to another, you fall backwards due to the forces and basically have to use the reins to support. If you have every ridden a powerful athletic horse, with big movement, you soon come to realise that thighs away and no tone leaves you at the mercy of wherever your body is thrown about! Just check out some of our most elite dressage riders, and realise there is not any floppy thighs or floppy riders.